WhatsApp is pushing a new beta update to Android users with version number 2.19.45, and it brings a new user interface (UI) for the Settings menu inside the app. It has been a long time since WhatsApp revamped its Settings menu and it finally got a UI refresh to match Android 9 Pie’s material design. The new interface, as you can see in the image below, looks minimalistic with all the options Account, Chats, Notifications, Payments, Data and storage usage and Help sections spread vertically. The user interface of the submenus like Accounts, Chats have been slightly tweaked as well. Besides the UI tweaking, WhatsApp did not add any new features to the Android Beta 2.19.45 update. As noted, it has been a while since the last revamp for the Settings menu inside WhatsApp. The new UI refresh is being rolled out the users with 2.19.45 and you can install the update by heading over to Google Play Store. Alternatively, you can install the APK by downloading it from APKMirror. In order to install the update via Google Play Store, you’ll have to register in the WhatsApp Beta programme. For WhatsApp stable users, the update might be rolled out in the coming weeks. Do make a note that there are no changes to the options present inside the Settings menu and they offer similar functionality. We’re just one month into 2019 and WhatsApp has already rolled out a plethora of features to enhance the user experience. Just a couple of weeks ago, WhatsApp for iOS has received the authentication feature which allows users to secure WhatsApp with Touch ID. At the moment, WhatsApp rolled out the authentication feature to iOS users only, but it could be added to the Android version as well very soon. 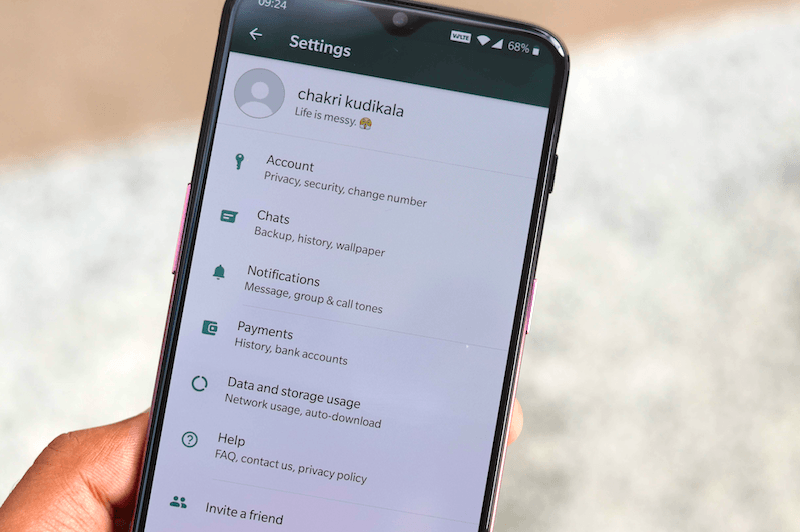 Popular WhatsApp blog WABetaInfo already noted that WhatsApp is working on adding authentication feature to its Android app which will allow users to secure the app using a fingerprint. Right now, Android users are relying on third-party locking services to secure the instant messaging app, but very soon, WhatsApp will add an in-built one which will make it easier for the users. In other news, WhatsApp is also said to be working on integrating the stickers from third-party apps to the keyboard. This will enable WhatsApp users to send stickers from standard Keyboard apps. This feature will likely be rolled out to Android users in the coming weeks. Besides these features, the Facebook-owned company is also said to be working on a lot of new features including Share in Chat, 3D Touch support for Statutes in iOS among others. *No counter in news section. *Comments font very tiny and off. *”load more comments” thing after every 2-3 comments is painful. Please do something, of possible.